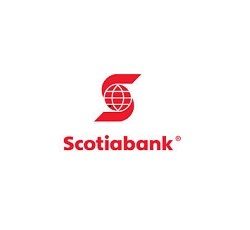 Today the Board of Directors of Scotiabank announced a quarterly dividend increase of from CA$ 0.74 to CA$ 0.76 per share that’s payable April 26, 2017 to holders of record April 4, 2017. This represents a 5.56 % increase over the second quarter 2016 dividend of CA$ 0.72 per share and a 2.70 % increase over for the fourth quarter 2016 of CA$ 0.74 per share. With current price CA$ 79.25 (yesterday's close), this raise brings their dividend yield to 3.84 %. That increase rises my YOC to 4.82 %. 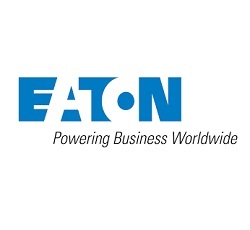 On Wednesday, February 22, the Board of Directors of power management company Eaton announced a quarterly dividend increase of from $ 0.57 to $ 0.60 per ordinary share that’s payable March 17, 2017 to holders of record March 6, 2017. 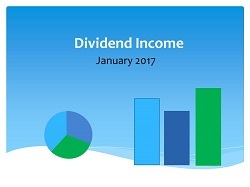 This represents a 5.26 % increase to regular quarterly dividends. With current price $ 72.39 (Friday's close), this raise brings their dividend yield to 3.32 %. Since I own 30 shares, this will increase my portfolio's projected annual net dividend income by $ 2.68. That increase rises my YOC to 3.81%. 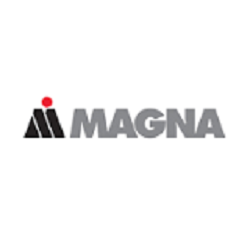 On Thursday, February 23 the Board of Directors of Magna International Inc. announced a quarterly dividend increase of from $ 0.25 to $ 0.275 per share that’s payable March 24, 2017 to holders of record March 10, 2017. This represents a 10.0 % increase to regular quarterly dividends. With current price $ 43.05 (yesterday's close), this raise brings their dividend yield to 2.56 %. Since I own 50 shares of MGA, this will increase my portfolio's projected annual net dividend income by $ 3.73. That increase rises my YOC to 2.86 %. Today the Board of Directors of Royal Bank of Canada announced a quarterly dividend increase of from CA$ 0.83 to CA$ 0.87 per share that’s payable May 24, 2017 to holders of record April 25, 2017. This represents a 7.41 % increase over the first quarter 2016 dividend of CA$ 0.81 per share and a 4.82 % increase over for the third quarter 2016 of CA$ 0.83 per share. With current price CA$ 98.26 (yesterday's close), this raise brings their dividend yield to 3.54 %. That increase rises my YOC to 4.60 %. Yesterday on February 17, I Bought 20 shares of General Mills, Inc. at $ 59.45 per share plus commission. General Mills, Inc. manufactures and markets branded consumer foods in the United States. It operates in three segments: U.S. Retail, International, and Convenience Stores and Foodservice. The company offers ready-to-eat cereals, refrigerated yogurt, soup, meal kits, refrigerated and frozen dough products, dessert and baking mixes, frozen pizza and pizza snacks, grain and fruit and savory snacks, stable and frozen vegetables, and ice cream and frozen desserts, as well as various organic products, including meal kits, granola bars, and cereal. The company markets its products under the Annies, Betty Crocker, Bisquick, Bugles, Cascadian Farm, Cheerios, Chex, Cinnamon Toast Crunch, Cocoa Puffs, Cookie Crisp, Fiber One, Food Should Taste Good, Fruit by the Foot, Fruit Gushers, Fruit Roll-Ups, Gardettos, Go-Gurt, Gold Medal, Golden Grahams, Häagen-Dazs, Helpers, Jenos, Jus-Rol, Kitano, Kix, La Salteña, Lärabar, Latina, Liberté, Lucky Charms, Muir Glen, Nature Valley, Oatmeal Crisp, Old El Paso, Pillsbury, Progresso, Raisin Nut Bran, Total, Totinos, Trix, Wanchai Ferry, Wheaties, Yoki, and Yoplait names. 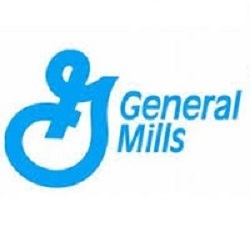 General Mills, Inc. also supplies branded and unbranded food products to the foodservice and commercial baking industries. It sells its products directly, as well as through broker and distribution arrangements to grocery stores, mass merchandisers, membership stores, natural food chains, e-commerce grocery providers, commercial and noncommercial foodservice distributors and operators, restaurants, and convenience stores, as well as drug, dollar, and discount chains. The company operates 530 ice cream parlors; and franchises 344 branded ice cream parlors. General Mills, Inc. also exports its products primarily to Caribbean and Latin American markets. The company was founded in 1928 and is headquartered in Minneapolis, Minnesota. Yesterday the Board of Directors of The Coca-Cola Company announced a quarterly dividend increase of from $ 0.35 to $ 0.37 per share that’s payable April 3, 2017 to holders of record March 15, 2017. This represents a 5.71% increase to regular quarterly dividends. With current price $41.20 (yesterday's close), this raise brings their dividend yield to 3.59%. Since I own 150 shares, this will increase my portfolio's projected annual net dividend income by $ 8.94. That increase rises my YOC to 3.95%. Today T. Rowe Price Group, Inc. announced a dividend increase of from $ 0.54 to $ 0.57 per share that’s payable March 30, 2017 to holders of record March 16, 2017. This represents a 5.56% increase to regular quarterly dividends. This will mark the 31st consecutive year since the firm's initial public offering that the company will have increased its regular annual dividend. With current price $ 71.00 (today's open), this raise brings their dividend yield to 3.21%. Since I own 55 shares of TROW, this will increase my yearly net dividends by $ 4.92. 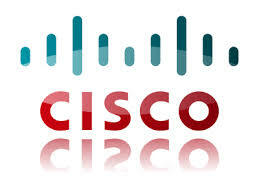 Yesterday the board of directors of Cisco Systems, Inc. announced a dividend increase of from $ 0.26 to $ 0.29 per share that’s payable April 26, 2017 to holders of record April 6, 2017. This represents a 11.54% increase to regular quarterly dividends. With current price $ 32.82 (yesterday's close), this raise brings their dividend yield to 3.53%. Since I own 150 shares this will increase my yearly net dividends by $ 13.41. 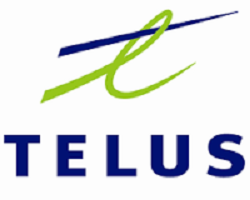 On Thursday, the ninth February I added 30 shares of TELUS Corporation (TU) at $32.95 per share plus commission. My overall cost basis of this position decreases from $ 33.24 to $ 33.22 per share. I totally hold now 180 shares of TU and my yield on cost is 4.40%. You can look at my first purchase of TU here. 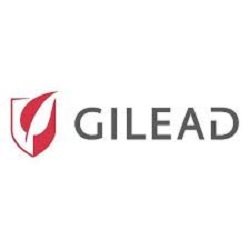 Yesterday the board of directors of Gilead Sciences announced a dividend increase of from $ 0.47 to $ 0.52 per share that’s payable March 30, 2017 to holders of record March 16, 2017. This represents a 10.64% increase to regular quarterly dividends. With current price $ 73.13 (yesterday's close), this raise brings their dividend yield to 2.84%. Since I own 35 shares this will increase my yearly net dividends by $ 5.22. 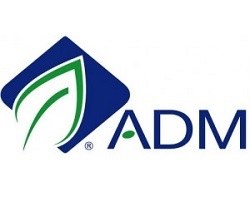 Today the board of directors of Archer Daniels Midland Company announced a dividend increase of from $ 0.30 to $ 0.32 per share that’s payable March 14, 2017 to holders of record February 21, 2017. This represents a 6.67% increase to regular quarterly dividends. This is ADM’s 341st consecutive quarterly payment, a record of 85 years of uninterrupted dividends. With current price $ 44.02 (yesterday's close), this raise brings their dividend yield to 2.91%. Since I own 60 shares this will increase my yearly net dividends by $ 3.58.